How was everyone's holiday weekends? 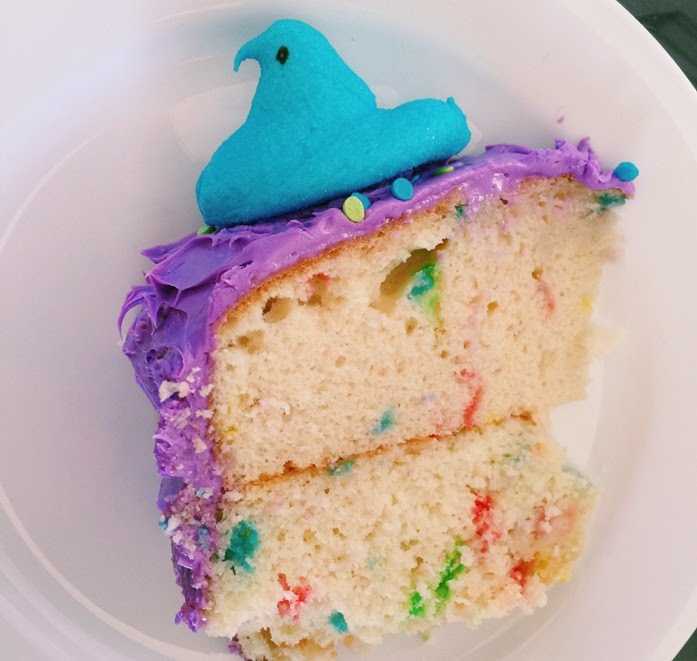 This past Easter, I decided to make a Peeps Easter cake (who doesn't love Peeps?!). It's perfect if you have a sweet tooth. 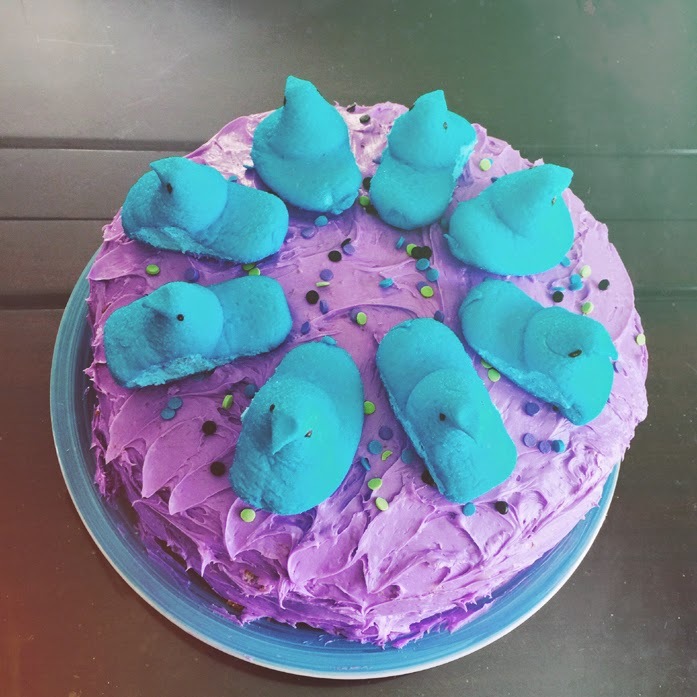 To balance the sweetness, I used blue raspberry flavored Peeps - which have a slightly sour/tangy kick. 2. Mix the cake mix, eggs, oil and water. I did it in two batches (one for each cake mix) to go into two separate round pans. Each should be a mix of 1 box of cake mix, 1/3 cup of oil, 3 eggs, and 1 cup of water. 3. Pour mixtures into the round pans and place in oven for about 35-38 minutes. 4. Cool for 10-15 minutes before removing the cake from the pans. 5. 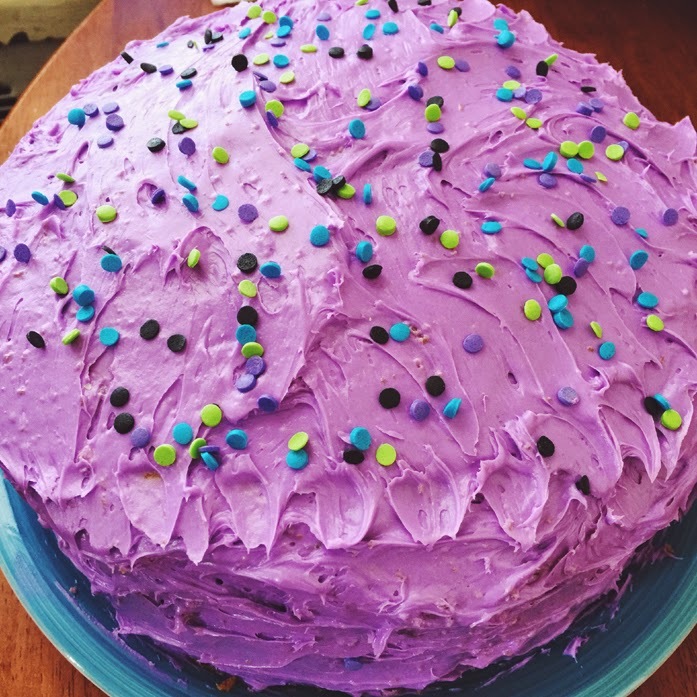 Place both cake tiers on top of each other and wait until it's cool before icing. 6. Ice the cake and add sprinkles. P.S. Follow me on SnapChat at audreyallure! 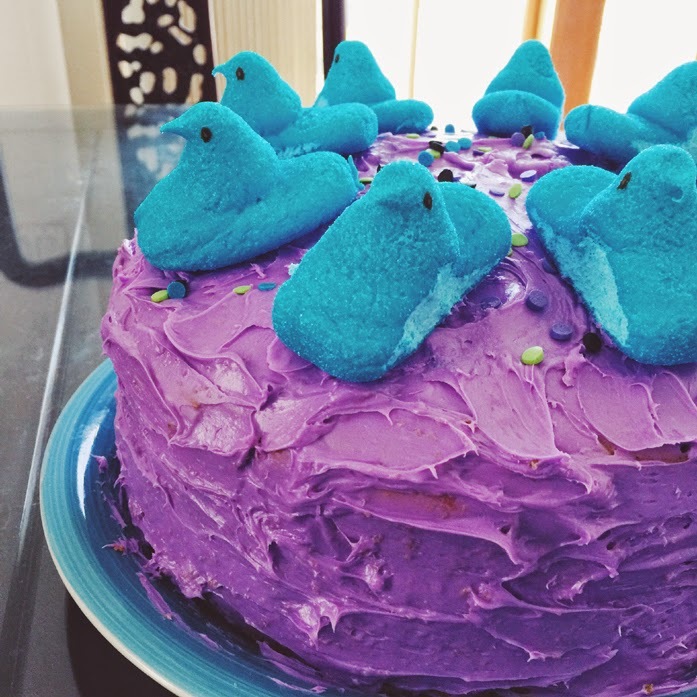 I think I live under a rock because I only discovered Peeps last year for the first time in my life. Shocking, I know. And no I didn't try one. (I'm not a huge fan of chocolate - another shocker!). That cake looks so delicious. I need it in my life!